In order to feel love, you must be loving. Think about the start of your relationship and how you were driven to express your love. Perhaps you wrote notes and emails, sent flowers, called, left voice messages or text messages, you left gifts and surprises or arranged special outings. It is by expressing our love, and by being loving, that we in fact experience love. Love is felt by giving. Sure, it is felt by receiving, too; the difference is in the planning, preparation, thinking and mindfulness involved in giving love. Love is an ever-changing resource that encourages our growth and our healing, and it is both a motivation and a reward for the expression of our care and concern of others. In a committed relationship, love must be nurtured through action. For love to sustain and grow, it must be treated as a verb, not a noun. Love is a constantly changing emotion that has the capacity to expand and contract in accordance with the rhythms of our life and our actions. Think about today. What did you do that was particularly loving for your sweetie today? Ideally, you will have at least five things that come to mind quickly. For example: made her breakfast, refilled her coffee, text to say “I love you,” just because, greeted her with a kiss and a hug, read to her before she fell asleep. Sometimes love is as simple as saying “thank you,” holding open the door for her, smiling at her, playfully dancing with and singing to her, or leaving her a love note. When you do something that makes her life easier, makes her heart fill up, eases her mind, comforts her body, or leaves her knowing that she lights up your life… you will know you are doing something right. Be love. 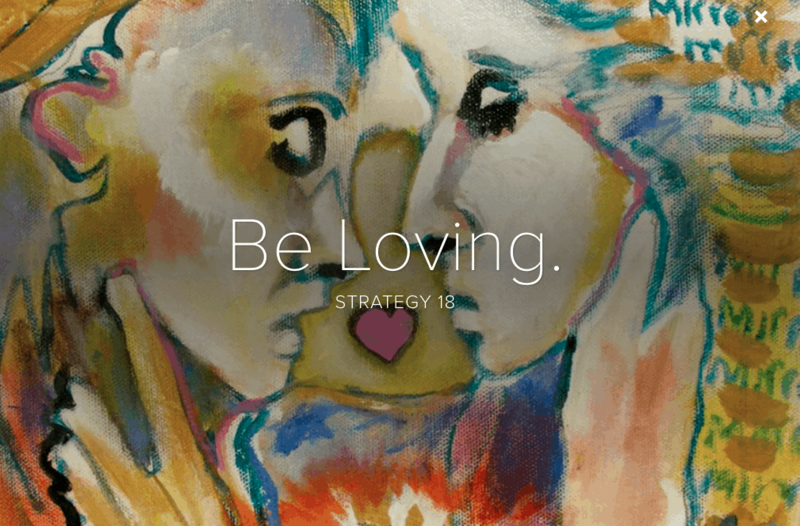 Be loving. Be loved.